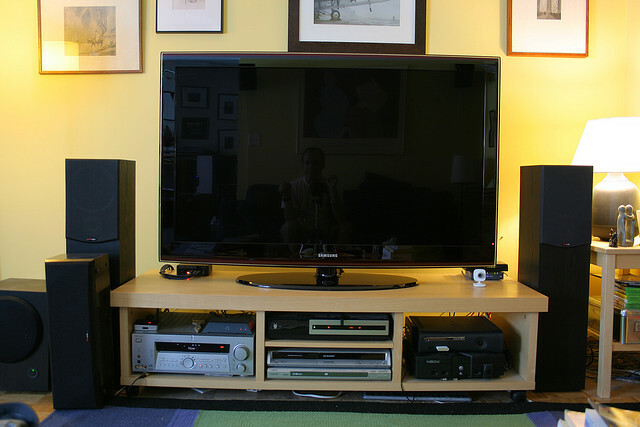 Diagonal of the TV is usually measured in inches and stated in the specification. However, if you purchased it from someone, exact size may not be known. Actually, it's not a problem, since a proper measurement is very easy. To measure the diagonal of your TV, first of all you'll need tape measure or meter of sufficient length. Stretch the tape measure from the upper right to the lower left corners of the screen (only the screen, the casing of the TV are not included). Ensure that the tapes have been well stretched over the entire length. If roulette no, take the thread, pull along the diagonal of the TV, cut or mark the other side. Now measure the length of the thread with a ruler. 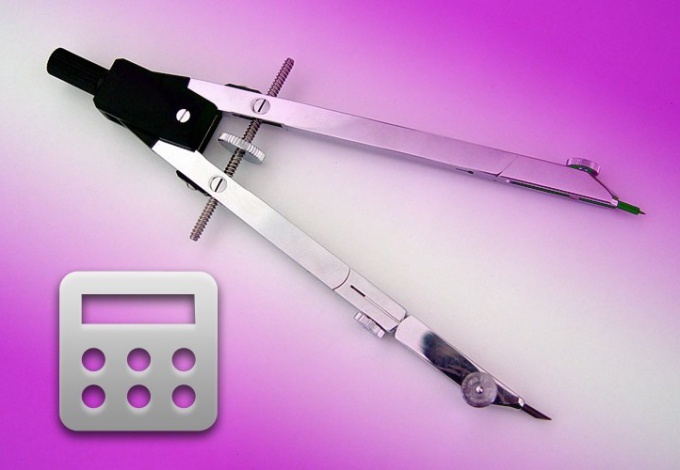 Take a pen and paper and write down the resulting measurements result in centimeters. Follow these simple calculations. Turn centimeters to inches. For this, note that one inch is equal to 2.54 centimeters. Consequently, the received and recorded in centimeters, the result must be divided by 2.54. Use a calculator if you have difficulties with the calculation. If the length of the roulette/meter is insufficient to cover the entire diagonal, you can calculate the result separately for parties. To do this, measure the width and height of your screen. Follow these simple calculations. Raise both numbers (the length and width of the screen in the square, and then fold them (e.g., you got numbers 3 and 2, then the squares of these numbers is 9 and 4 respectively, and the sum of the squares of -13, that is, 9+4). 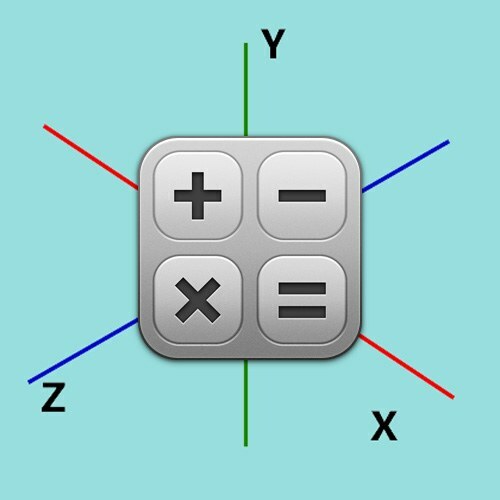 Use the functions of the calculator if you are afraid to make a mistake. Now the resulting number should be converted into inches (i.e., divide by 2.54). Share. The most simple variant to know the diagonal of your TV - see what is written on the body of the TV. But here we must be careful - very often the manufacturers do not indicate the diagonal of the screen, and the distance from the upper to the lower angle of the hull. You can also find this information in the passport of your home appliances, of course, if he survived. Typically, the diagonal size is printed on the cover. Rectangle – a flat geometric figure. A rectangle is a quadrilateral whose all the angles are straight. How to find the diagonal of a square if you know the lengths of its sides? Divide the rectangle by a diagonal into two equal triangles. In this case, the diagonal will be the hypotenuse of these triangles. And, as we know from the Pythagorean theorem, the hypotenuse squared is equal to the sum of the squares of the legs. extract from the result the square root. Find the sum of the squares of the sides of the rectangle 32 + 42 = 9 + 16 = 25. Extract from the result the square root of the diagonal length equal to 5 cm. The diagonals of a rectangle are equal. If the found length one, the length of the second will be exactly the same. 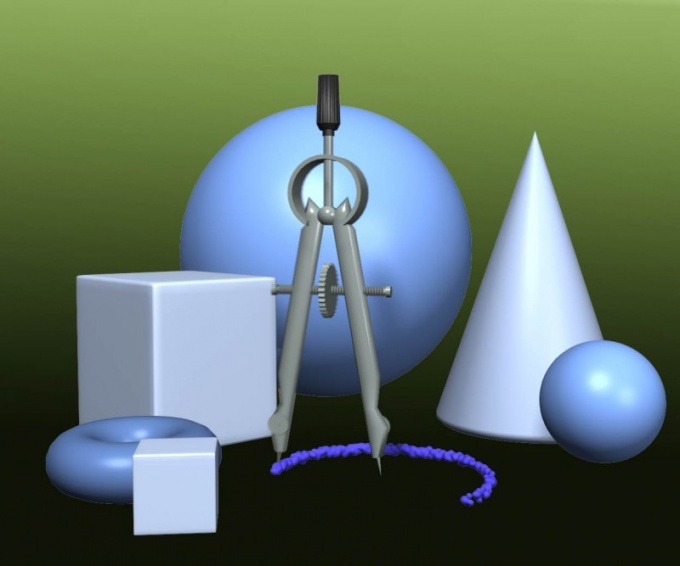 Each polyhedron, a rectangle, a parallelogram and a diagonal. It usually connects the corners of any of these geometric shapes. The value of the diagonal has to find the solution of problems in elementary and higher mathematics. A diagonal is any straight line connecting the corners of the polyhedra. Its location depends on the type of shapes (rhombus, square, parallelogram) and the data given in the problem. The easiest way to find the diagonal of a rectangle is the following.The two sides of the rectangle a and b. Knowing that all of its angles equal to 90°, and its diagonal is the hypotenuse of the two triangles, we can conclude that the diagonal of this fighti can be found by using the Pythagorean theorem. In this case, the sides of the rectangle are the legs of triangles. It follows that the diagonal of a rectangle is:d=√(a^2+b^2)a special case of applying this method to finding diagonals is a square. Its diagonal can also be found by the Pythagorean theorem, but given that all its sides are equal, the diagonal of a square is equal to a√2. The value a is the square side. The diagonal of a trapezoid is several ways. To calculate you need to know, as a rule, three values - top and bottom base, and at least one lateral side. This can be seen on the example of a rectangular trapezoid.For example, given a rectangular trapezoid. First you need to find a small segment that is a leg of a right triangle. It is equal to the difference between the upper and lower bases. As a rectangular trapezoid, the drawing shows that the height is equal to the side of the trapezoid. As a result, you can find another lateral side of the trapezoid. If you know the upper base and lateral side, the cosine theorem can be found first diagonal:c^2=a^2+b^2-2ab*soavtory diagonal is based on values of the first lateral side and the upper base on the Pythagorean theorem. In this case, this diagonal is the hypotenuse of a right triangle. Monitor is a device designed to present information in graphic or text form. Today it is most commonly used to display information from the computer. Screen size is one of the main characteristics of this device, which is present even in the name of the model and measured in inches. In order to keep the notation to a single number you have chosen, measure the screen diagonally. Measure the distance between the lying opposite each other angles of the monitor screen is the diagonal. You need to measure the distance of the diagonal of the housing, namely between the corners of the screen, i.e. the visible surface of the matrix liquid crystal display (LCD) monitor or a CRT monitor using a cathode ray tube (CRT). Search for this operation, the measuring tool with the applied tick marks, in inches, is not necessary, since the result can easily convert from centimeters to inches. Share measured in inches the diagonal of the monitor by a factor of 2.54 to convert it into inches - it is the ratio since 1958 established in the UK and the USA using non-metric system of measures. Manual measurement you will get real visible diagonal screen but if you need to know the certified value of this parameter, keep in mind that it may not coincide with the measured ones. The difference could be due to the fact that some part of the screen obscured by the case in which you installed the matrix or tube. Learn certified value in factory description of set of accompanying documents that you purchased the monitor from marks on its body or from the full name of the model. For example, in the name of Philips 220WS the first two digits (22) indicate the diagonal size in inches. To see the full name on the body of the device or on the packaging box and the display properties in your operating system. If you know the size of the tube or matrix of the monitor, if necessary, convert it to centimeters, multiply this number by a factor of 2.54. But we can not deal with calculations and use built-in search system Google unit Converter. 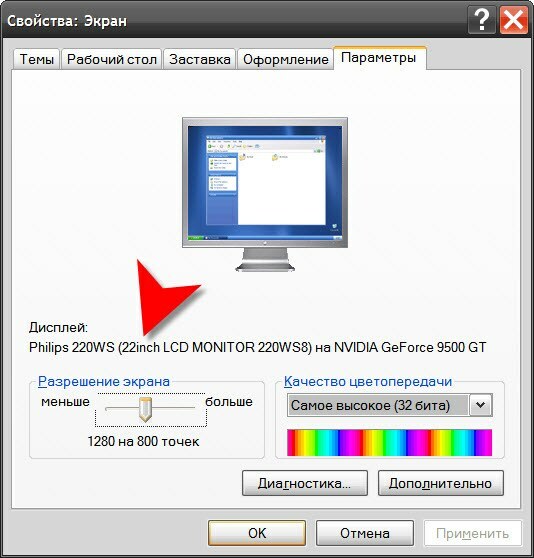 For example, for translation in centimeters of the diagonal of the monitor Philips 220WS enter a search term "22 inch in centimeters". At the level of simple everyday communication dimensions of the monitor can be described without unnecessary intricacies: large, medium, small. But sometimes it is necessary to know the diagonal of the monitor. Measured it is, unfortunately, not in the usual centimeters and in inches. The first way to know the monitor is the most simple and logical – see the documentation for your monitor. Any conscientious manufacturer provides all the required characteristics of the equipment in the passport and causes the appropriate marking on the packaging container. If for some reason the documentation for the monitor is missing, look at your monitor from different angles. The manufacturer often places the equipment data on the information label. Most often they are on the back of the monitor. In that case, if you are unable to find any labels or markings on the body of the monitor arm with a ruler or measuring tape. 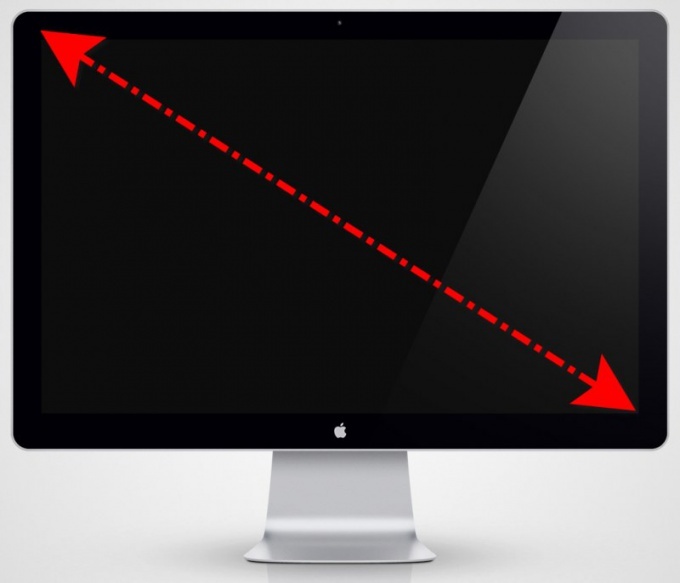 Measure the diagonal of your monitor. The diagonal is measured in the direction of the lower left corner to upper right (or Vice versa). The resulting size in inches – divide the number of centimeters by 2.4. As a result, you get the size of your monitor in inches. On average, the ratio of the diagonal in centimetres and in inches will look as follows:- 33.5 cm = 14 inches; 35 cm = 15 inches;- 40.5 cm = 17 inches;- 47,5 cm = 20 inches; 50.3 per inch = 21 inches. For monitors with various sizes recommended different screen resolution. If you want to set a different resolution for your screen, use the features of the system. Click in any free of file and folder location "Desktop, right-click and select from the drop-down menu "Properties . In the dialog box "display Properties go to the tab "Parameters . Under "screen Resolution by using "slider to select the desired value and click "Apply . The system will show what will appear in the elements under the new definition. If you are satisfied with the result, confirm your choice. Close the properties window by clicking the OK button or the X icon in the upper right corner of the window. A closed geometric figure formed by two pairs lying opposite each other parallel lines of equal length is called a parallelogram. And a parallelogram, all angles of which equal 90°, it is called a rectangle. In this figure it is possible to hold two lines of equal length connecting opposite vertices is a diagonal. The length of these diagonals is computed in several ways. If you know the lengths of two adjacent sides of the rectangle (A and b), then the length of the diagonal (C) determine very simple. Assume that the diagonal is opposite the right angle in the triangle formed by it and these two parties. This allows you to apply in the calculation of the Pythagorean theorem to calculate the diagonal length by finding the square root of the sum of squared lengths of the known sides: C=v(A?+In?). If you know the length of only one side of the rectangle (A) and the angle (? ), which with it forms a diagonal, to calculate the length of this diagonal (S) will have to use one of the direct trigonometric functions - cosine. Divide the length of the known sides into the cosine of the known angle - this will be the required length of the diagonal: C=A/cos(?). If the rectangle specified by the coordinates of its vertices, the problem of computing the length of its diagonal is reduced to finding the distance between two points in this coordinate system. Apply the Pythagorean theorem to the triangle formed by the projection of the diagonal on each of the coordinate axes. For example, a rectangle in two-dimensional coordinates formed by the vertices A(X?;Y? ), B(X?;Y? ), C(X?;Y?) and D(X?;Y?). Then you need to calculate the distance between points a and C. the Length of the projection of this segment on the X-axis will be equal to the difference between the coordinates of |X?-X?|, and the projection on the Y - axis |Y?-Y?|. The angle between axes is 90°, which implies that these two projections are the legs, and the diagonal length (hypotenuse) is equal to the square root of the sum of squares of their lengths: AC=v((X?-X?)?+(Y?-Y?)?). For finding the diagonal of a rectangle in three-dimensional coordinate system proceed as in the previous step, only adding to the formula the length of the projection on the third coordinate axis: AC=v((X?-X?)?+(Y?-Y?)?+(Z?-Z?)?). In memory left many mathematical joke: Pythagorean pants on all sides are equal. Use it to calculate the diagonal of a rectangle. A sheet of paper, ruler, pencil, calculator with function of calculate roots. A rectangle is a quadrilateral, all the angles which are straight. The diagonal of the rectangle is the line segment connecting two opposite vertices. On a sheet of paper with a ruler and pencil draw an arbitrary rectangle ABCD. Better to do it on notebook sheet in a cage – it will be easier to draw right angles. Connect the cut vertices of the rectangle A and C. the resulting segment AC is a diagonalth rectangle ABCD. Please note, the diagonal AC has divided the rectangle ABCD into the triangles ABC and АСD. The resulting triangles ABC and АСD straight triangles, because the angles ABC and АDС is 90 degrees (by definition of a rectangle). Remember the Pythagorean theorem – the square of the hypotenuse is equal to the sum of the squares of the other two sides. The hypotenuse is the side of the triangle opposite the right angle. Sides – the sides of the triangle adjacent to the right angle. With respect to the triangles ABC and АСD: AB and BC, AD and DC sides of the AC common hypotenuse for both triangles (the desired diagonal). Therefore, as in a square = square AB + square BC or AC square = AD square + square DC. Input the side lengths of the rectangle in the above formula and calculate the length of the hypotenuse (diagonal of rectangle). Diagonal – a segment connecting two vertices of any shape, not lying on the same side. To calculate its length, most commonly used Pythagorean theorem or the theorem of cosines. For convenience, denote the size of the screen of TV or monitor use of the length of its diagonal - this allows you to specify the size of just one number. It so happened that the number is most often expressed in inches, are not used in most countries that have adopted the metric system of measurement. In Russia, too, the length is measured in inches, but the screen size is still expressed in inches. If you, too, believe the school teacher, the diagonal of a rectangle is the length between the opposite corners, passing through the center of the figure. Measure this segment of a rectangular screen of your monitor or TV. The tool can serve as a centimeter, measuring ruler, meter, or other available tool, which can be used without fear to damage the surface of the tube or matrix. And if the school you still remember the Pythagorean theorem, it is possible to do even trickier to measure is the diagonal length and width, and the desired value to compute the root from the sum of the squares of the resulting values. Sometimes using this method is preferable as it guarantees the safety of the surface of a CRT or matrix. Obtained in the previous steps, the number must be in inches. Usually in these units is indicated by the size of the screen, so most likely, you need it in those units. Every inch contains approximately 2.54 cm, so divide by this value, measured in centimeters the length of the diagonal. Measure is meaningful only in cases where simpler methods are unavailable. For example, almost always on the body of the device with the screen you can find marking in which one of the numbers indicates the size diagonally. For example, if the designated monitor SyncMaster 2232BW, the first two digits in the numerical designation refer to the diagonal size in inches. If it is necessary to know the diagonal in inches, perform a mathematical operation, the inverse applied in the previous step - 22, multiply by 2.54. Diagonal of the monitor screen by the numbers in its name, you can define not even examining the case. If the computer is turned on and the operating system is configured correctly, the full name along with the numbers can be seen by going to the settings screen. In Windows 7 and Vista, simply click on the desktop, right-click and select "screen Resolution". 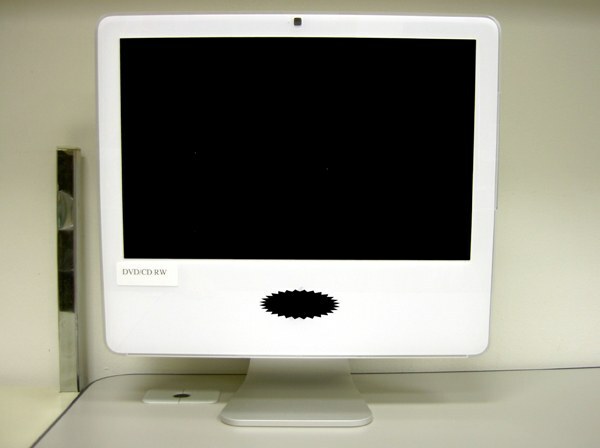 The full name of the monitor can be found in the "Screen" of the window.